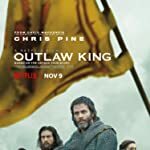 Poll: 2018 TIFF Gala Movie You Most Want to See? What do films like 'La La Land', 'Moonlight', 'Arrival', 'Three Billboards Outside Ebbing, Missouri', 'Ladybird', and 'The Shape of Water' have in common besides being Best Picture Oscar nominees? 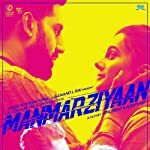 They were all launched at the Toronto International Film Festival (TIFF), one of the most important events of the awards season, which is generally considered to start with the kick-off of this festival. This year, TIFF opens on the 6th of September and with it, the anticipation of fresh, exciting, new films. 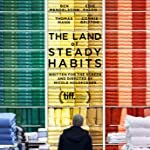 Which of the TIFF "Gala" films, from 2018, do you most hope to be able to see in the coming months? Recent Oscar nominees Steve Carrell and Timothee Chalamet star in this inspiring story based on best-selling memoirs of a father and son's struggle with addiction. 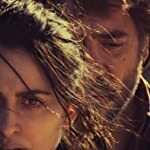 Penélope Cruz and Javier Bardem star in this mystery about secrets surfacing when a woman returns to her hometown for a wedding. Ryan Gosling and Claire Foy star in Damien Chazelle's ('LaLaLand,' 'Whiplash') depiction of the life of the first human to walk on the moon, Neil Armstrong. 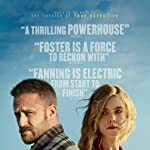 Melanie Laurent directed and co-wrote this crime drama about a dying hitman (Ben Foster) who returns to his hometown to plot revenge. Also stars Elle Fanning. 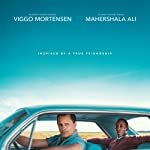 Viggo Mortensen portrays a working class bouncer who becomes the driver for an African-American classical pianist (Mahershala Ali), on a musical tour of the American South during the tumultuous 1960s. 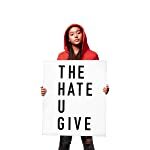 The dichotomous worlds of a teenager weigh down on her after she witnesses a police officer fatally shoot her best friend from childhood. Anthony Mackie and Amandla Stenberg star. 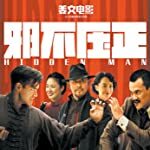 The third installment in the gangster trilogy that includes 'Let The Bullets Fly' and 'Gone With The Bullets,' this film tells the story of a young swordsman in 1930s China who tries to solve a five-year-old murder case. 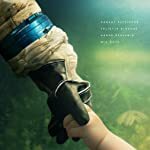 Claire Denis directs Juliette Binoche and Robert Pattinson in this story of a father and daughter living in deep space as part of a reproduction experiment. The bio-pic of a woman (Kristen Stewart) living as a celebrated author who is actually the made-up literary persona of a relative. Features an impressive cast, including Laura Dern and Jim Sturgess. Mystery surrounds the details of this thriller from the creator of The Killing, Veena Sud. Stars Peter Sarsgaard, Joey King, and Mireille Enos. This romance, directed by the writer of Ugly (2013), is set in the state of Punjab, in India. 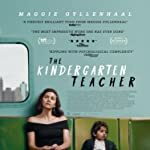 Maggie Gyllenhaal and Gael García Bernal lead the cast of this drama about a teacher who becomes obsessed with one of her students who she believes is a child prodigy. This highly anticipated comedy-drama stars Ben Mendelsohn as a financier who quits his job and divorces his wife (Edie Falco) to escape his wealthy, stifling community. When he befriends a drug-addicted teen, his life leads him to profound questions. 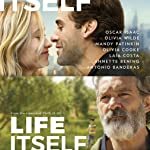 The third film from Dan Fogelman, a writer for 'This Is Us,' boasts an all-star cast (Annette Bening, Oscar Isaac, and Olivia Wilde, among others) as it tells a couple's story that reverberates throughout continents and lives. When an Arctic blasts lands in downtown Cincinnati, the often homeless and marginalized patrons of a public library stage a sit, with the support of some of the regular staff but against the library administration. 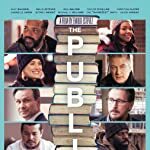 The stellar cast (Alec Baldwin, Jeffrey Wright, Taylor Schilling, and many more) propels this dramatic examination of some of modern society's most important issues. 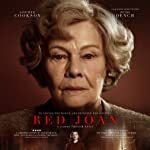 Judi Dench plays Joan Stanley, who was exposed as the KGB's longest-serving British spy. 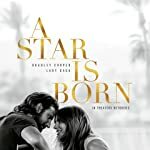 Bradley Cooper stars, along with Lady Gaga and Dave Chapelle, in his directorial debut, a story of artistic struggle, music, love, fame, and personal demons. 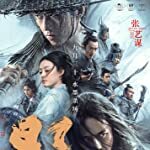 Set during China's Three Kingdom's era, this is the story of a king and his people, who will be expelled from their homeland and will aspire to claim it. 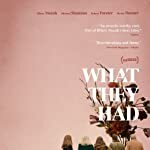 This family drama features Hillary Swank and Michael Shannon as the adult children whose mother's life-threatening illness is difficult for their father to accept. This crime thriller about a group of women who are left with the debt of their dead husbands' criminal activities face the future on their own terms. 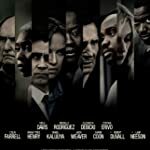 The great cast includes Viola Davis, Colin Farrell, and Michelle Rodriguez.